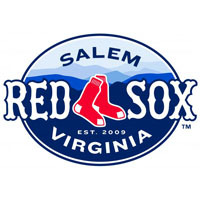 The Salem Red Sox received seven brilliant innings of dominant pitching from Yeiper Castillo, but the game remained scoreless into the eighth, and Lynchburg scrapped three runs against the Sox bullpen to emerge with a 3-1 win on Saturday night at LewisGale Field. Jeremiah Bayer retired the first two Hillcats he faced, but four consecutive Lynchburg batters reached with two outs, culminating in RBI singles from Mycal Jones and Nick Ahmed break the seal offensively. Salem scored its only run with two outs in the ninth, and Brandon Jacobs, representing the tying run, struck out to end it. Jacobs struck out four times and the Sox were punched out 15 times in the ballgame. Gus Schlosser struck out nine in five innings for Lynchburg, extending his consecutive scoreless innings streak to 28.1 innings. In relief, Andrew Wilson held the Sox scoreless in the sixth and seventh innings, earning the victory as a result of Lynchburg’s three-run eighth. Juan Jaime pitched around a pair of singles in a scoreless eighth, and Ryan Weber earned his second save by finishing the game in the ninth, allowing one run. Castillo needed 84 pitches (52 strikes) to traverse his seven innings on the mound, surrendering just one hit and two walks. He struck out eight and never threw a pitch with multiple runners on base, facing just two more than the minimum in his seven scoreless frames. Bayer, in his second outing since coming off the DL, suffered the loss, falling to 1-2. Michael Almanzar went 3-for-4 to lead the Red Sox offense that outhit the Hillcats 9-4. Felix Sanchez also recorded three hits, a season high. Heiker Meneses went 1-for-3 and drove in Salem’s only run. In the top of the eighth, Braeden Schlehuber began Lynchburg’s two-out rally with a single to left. Emerson Landoni walked on four pitches, and Jones cracked a hard line drive to center to bring home Schlehuber and give the Hillcats the lead. With Landoni racing to third, Shannon Wilkerson’s throw overshot its target and skipped into the dugout. With an error charged to Wilkerson, Landoni scored and Jones took third, scoring soon thereafter on Ahmed’s single.